The Victorian Certificate of Education (VCE) is broken up into units (1, 2, 3 and 4), each of which is completed over the course of a semester. Traditionally, units 1/2 (which can be mixed and matched) are completed in Year 11, and units 3/4 (which must be sequential) in Year 12, but some schools allow Year 10s to commence unit 1/2 subjects. Year 11s can also complete unit 3/4 subjects. Each unit normally includes two or three outcomes that students must meet to pass the class. Every VCE student heading into Year 11 has undoubtedly considered whether to do a 3/4 subject, or maybe two, in Year 11. The decision is made easier for those who trialled a 1/2 class in Year 10 but for those who aren’t sure of which direction to take, we’ve weighed up the pros and the cons. By completing a 3/4 subject prior to your final year, you are creating one less hassle for yourself in what will probably be the most stressful 12 months of your life to date. This will allow you to narrow your focus onto the remaining five classes (or four if you did two 3/4s in Year 11). 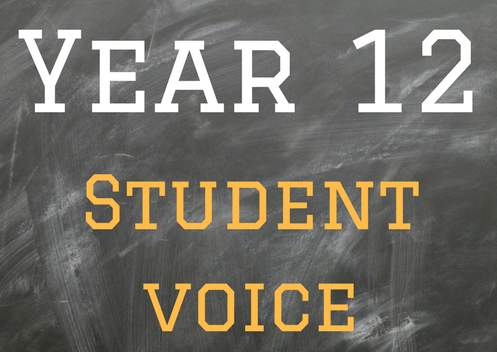 Year 12 can be gruelling, especially when you’re trying to combine studying and exams with the perks of turning 18 (for most students), such as getting your driver’s licence and being able to go out. By taking a 3/4 early, you can gauge how much time and effort needs to be attributed, and adjust your study schedule accordingly. If you choose to study a 3/4 in Year 11, make sure you are prepared to give it your best. Neglecting something that directly contributes to your ATAR score is a bad idea, and could end in disaster if it is the reason you don’t reach the cut-off for the university course of your choice. Plain and simple, you may not be ready for the subject matter of a 3/4 class. For students who struggle to keep up with the workload in Year 10, it might not be the best idea to take on extra academic responsibility.